‘RHOA’ RECAP: NeNe Leakes & Porsha Williams Confront Issues On Season 11 ‘RHOA’ Reunion! Part one of The Real Housewives of Atlanta Season 11 reunion kicked off with host, Andy Cohen, stirring the pot by asking NeNe Leakes if she checks on Porsha Williams during her pregnancy since they live near each other. Porsha Williams relives the highlights of her relationship with her fiance, Dennis McKinley, and a montage of their short relationship is shown. “When I was married to my ex-husband I was in a controlling situation. With Dennis he loves every bit of who I am,” Porsha tells the host then adding her engagement ring is 13-carats and may have cost a whopping $750,000. Kandi Burruss rolls her eyes at Porsha’s newfound happiness and life with Dennis McKinley. This convo segues into Porsha and NeNe discussing why NeNe did not attend Porsha’s baby shower and gender reveal party. Porsha says she was hurt by NeNe’s actions and asked NeNe if she sent a baby shower gift in her absence. “I haven’t gotten NeNe’s, or maybe I missed it,” Williams said. “No, you haven’t,” Leakes told her, clarifying that she didn’t send one at all. “Oh, ok so I didn’t get one from her. Kandi sent a lot of stuff,” Williams said about Kandi Burruss. “I planned to buy you something,” Leakes said. Bizarrely, she then revealed that she was in Canada, not Los Angeles, during the bash. “I was honestly in Canada. There would be no reason for me to lie,” she said, and Cynthia Bailey backed her up. Eva Marcille shaded Shamari DeVoe‘s dress, saying it was “too long but looks pretty while she’s sitting down,” and Shamari returned the shade and told her she “looks like a tree,” in her ruffled dress. Kandi Burruss addressed Eva’s comment about a friend that she said “wasn’t black with a Q,” a remark that Kandi interpreted as a slight against dark-skinned women. “I meant that she was not in a singing group even though she was an aspiring singer,” Eva explained, but not very convincingly. The focus shifts back to the conflict between NeNe and Porsha — and tensions boil over. She told Cohen her feelings were hurt and said she “ noticed a pattern after the baby shower,” and said she went to Leakes’ events. “Because you haven’t been supportive that’s why,” Leakes told her. “I’m telling you that I don’t think that you are supportive,” Leakes said and didn’t apologize. Eva Marcille jumped into the fray to bring up issues that she has with NeNe, “Your energy is real raw today. Aggressive,” she told her. Eva then told NeNe that she felt insulted by her at her bachelorette party in Tokyo. Kandi Burruss becomes emotional as she updates the ladies on her surrogacy journey. Next, Cynthia Bailey addressed NeNe for dissing her habitual use of the hashtag #chill on photos with her boyfriend, Mike Hill. 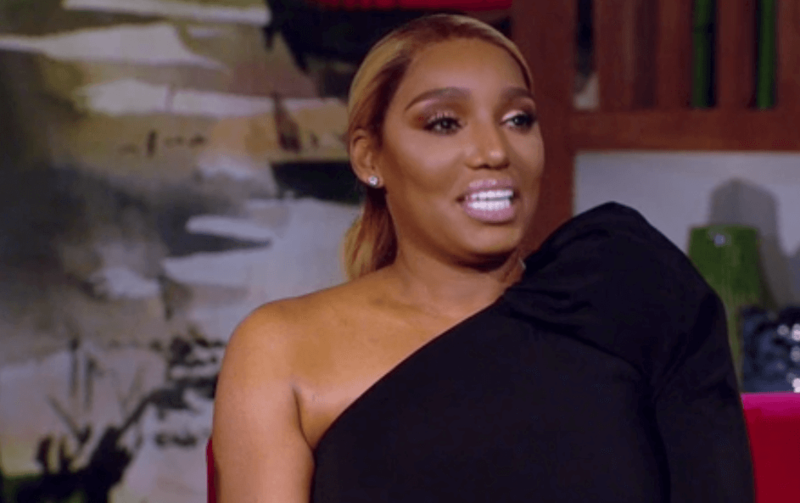 “The way that they post it really comes off as insecure,” NeNe told Cynthia. Andy Cohen then brings up NeNe’s cryptic tweet about “close friend” that set her up for the kill was about Cynthia. “You couldn’t have thought I was talking about you when you got to close friends,” NeNe said to Bailey about her post. “I do confront my friends to their faces,” NeNe said about the situation, dismissing Cynthia. The host then questioned NeNe about airing out her marital issues concerning her cancer-stricken husband on social media — adding that some of the ladies criticized her approach. “I don’t give a f**k about their opinion,” she said about Kandi and Porsha, who called out NeNe over her public remarks. “None of them know what I’m going through, they don’t know how it is. They don’t know. A caretaker position and the position I’ve been put in is a very difficult one,” NeNe continued. NeNe resumes blasting Cynthia about her Mike Hill social media posts. “That’s how I feel about it. It seems like it’s overdone, like it’s overkill to me,” she said. “A girl can have an opinion, honey! But I have been the most supportive of Cynthia and Michael, despite what any of these girls are out here saying,” NeNe insisted. “Okay, well,” Cynthia said, finally defending herself “I didn’t like your opinion — friend. I thought it was a little negative and I always try to be supportive. Real Housewives of Atlanta Season 11 reunion part 2 airs, Sunday, April 14 on Bravo, at 8:00 p.m. ET. Cynthia Bailey Says She’s Glad to Be Free of NeNe Leakes & Claims Their Friendship Wasn’t Real!